Flexible rubber material for better insights and instructional use. Horse hoof slices are available in thickness from appr. 3 to 30 mm. 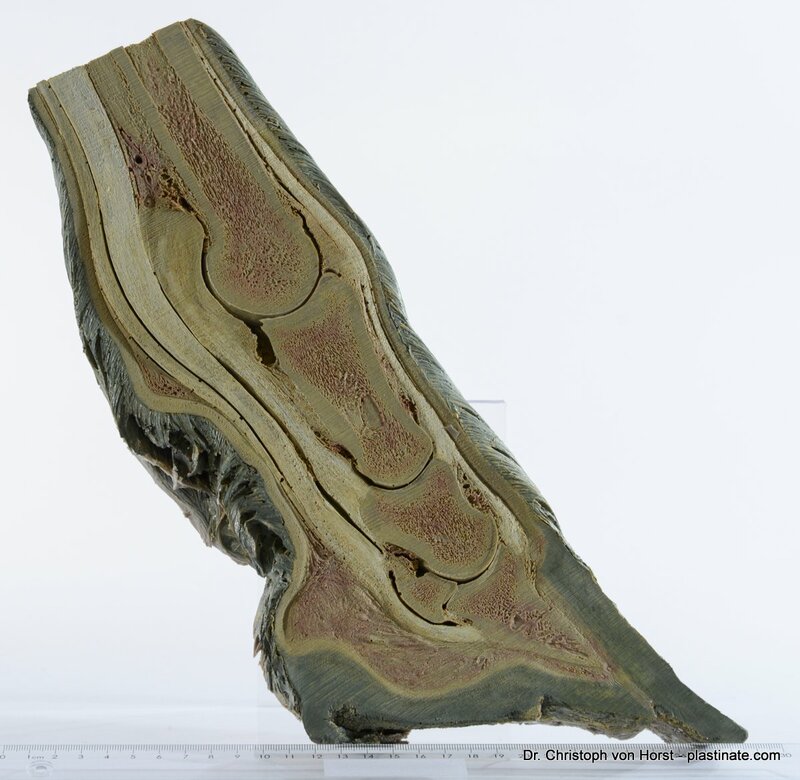 Thinner specimens are more flexible. 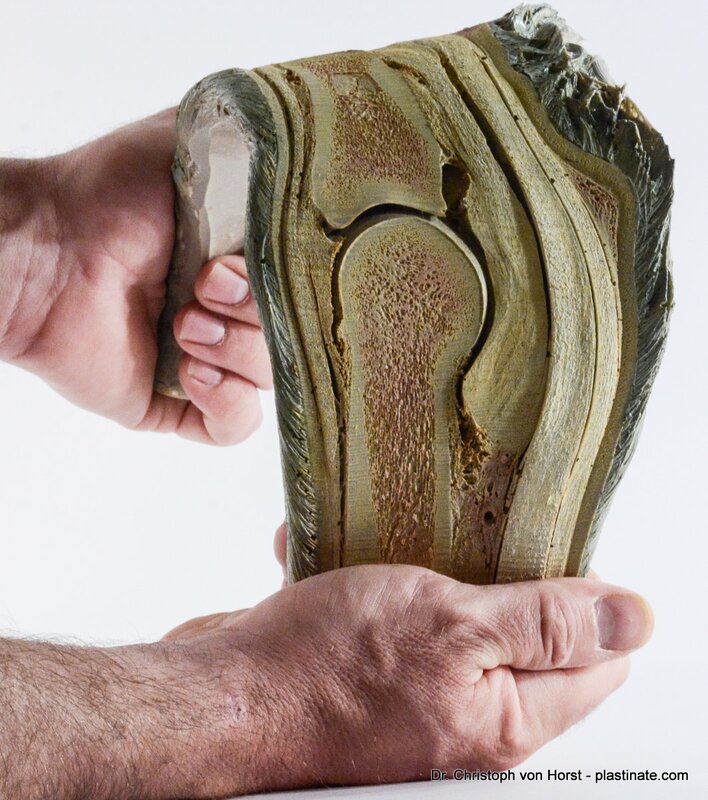 Flex moulage casts are the latest invention to present the anatomy of the horse hoof in a way that makes horse owners understand the specific problems of the equine digit. In the beginning freeze-dried hoof slices and semi-sectioned hooves were the only available instructional aids. With their characteristic smell and pseudo-realistic appearance they often had a more shocking than instructional effect on the horse owner. Sheet plastinates of the hoof have a completely different appearance. Horse owner love them for their beauty and often consider them as pieces of art. Their only disadvantage is a lack of 3-dimensional insight (find many examples in the picture gallery EQUINE ANATOMY at plastinate.com. 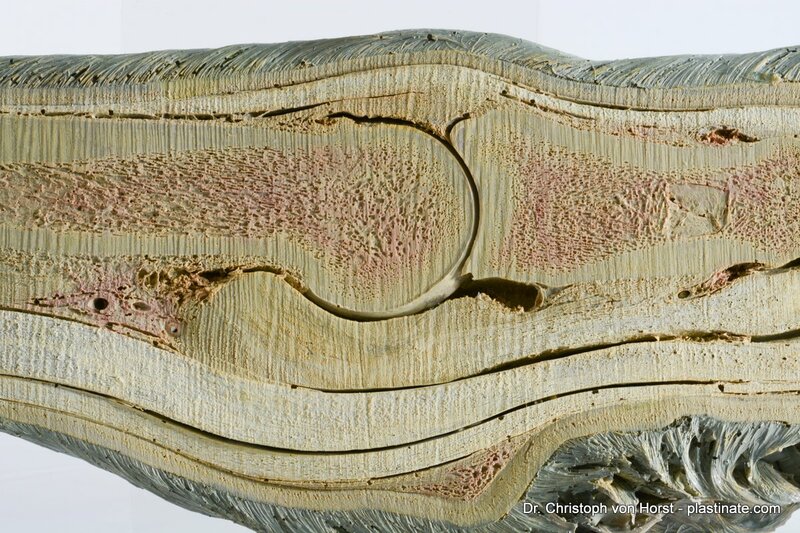 Furthermore it was often requested to provide an anatomical model that allows you to move its different structures a little bit and allow you to investigate hidden details of the horse hoof anatomy. 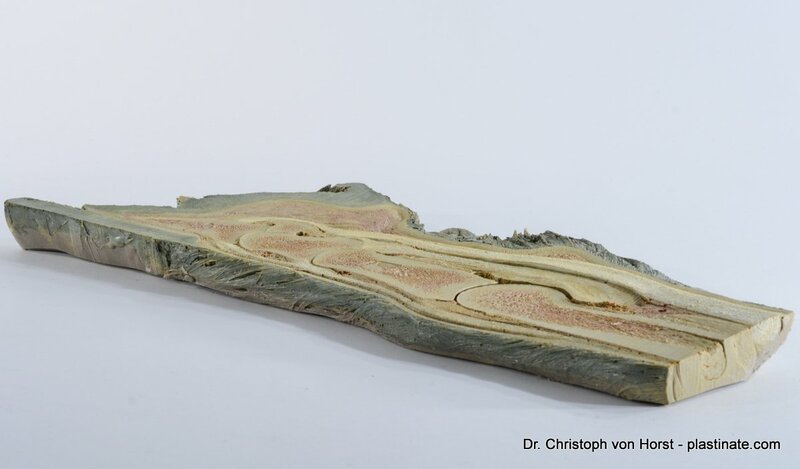 Please take a look at the flex moulage casts as shown below. We consider a combination of sheet plastinates, high resolution anatomical picture prints and the new flex moulage casts a perfect fit for the needs of anyone who needs to explain the anatomy and pathology of the hoof to a horse owner. You can find similar casts offered in my Etsy shop in the EQUINE ANATOMY section. Flex moulage cast of other species and maybe even of the human anatomy will follow soon.